My life was spent living in a glass bubble. People stand back admiring the person I've become. Can't you see the girl that's trapped inside? Those walls are my prison. You're blinded by its beauty, by the riches you could obtain from it. Maybe you can see the girl that's trapped inside. Pretend you didn't see it, walk away! Whilst you can walk away because you don't care to help, I am still here. I build my walls higher and thicker by helping you. But are you changing for me? Every person I dance my personality for is another chain to my collection. A chain wrapped around my neck. I've changed for you, but now I need you to start changing for me! I'm asking you to help set me free. I see your diamond walls. 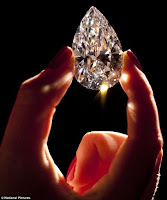 But darling please, the only thing that can break diamond is diamond. We both have our walls. We both have your diamond prisons. I can break your prison down but I need some help with my own. I'm fighting for you, but please! Please will you starting fighting for me. Forest - A writing exercise.